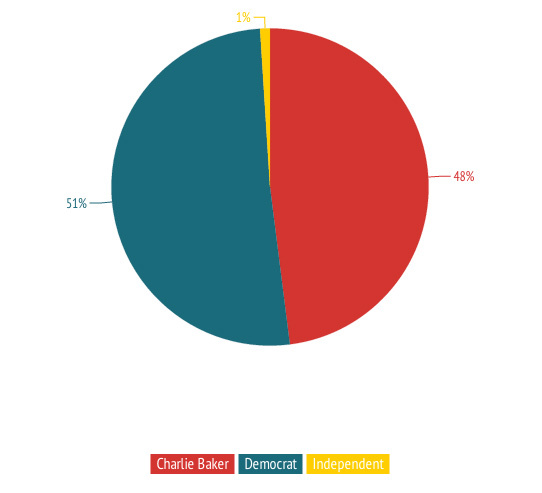 But the new Insiders Poll shows that Charlie Baker's chances are still nearly even. By David S. Bernstein·	 7/11/2014, 7:27 a.m.
With two months left before the primary election, Massachusetts political insiders are slowly coming to believe that Martha Coakley will win the Democratic nomination for governor, but they still have no idea whether Charlie Baker will end up winning the corner office back for Republicans. 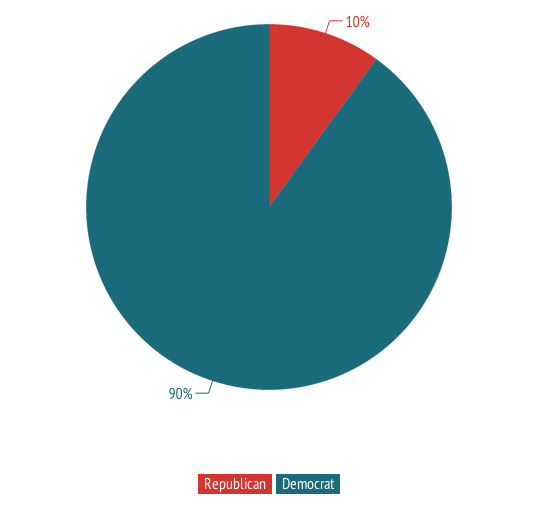 For this latest Insiders Poll, I returned to the same questions I asked back in November: asking them to assign percentage chances for the possible outcomes in the primary and general elections for open statewide offices. Back then, we didn’t even know for sure who was running. Since then, we’ve had nearly eight months of campaigning, both state party conventions, forums and debates around the Commonwealth, and several public polls. And yet, as you’ll see below, the crystal ball remains cloudy on many of the races. The insiders’ best collective guess is that Martha Coakley, Warren Tolman, Deb Goldberg, and Steve Kerrigan will be the next Governor, Attorney General, Treasurer, and Lieutenant Governor of Massachusetts. But those predictions are hardly set in stone. The results below are aggregated from 101 completed surveys completed by political insiders throughout the Commonwealth and across the political spectrum. Most of the respondents are identified at the bottom of this post. The results are almost precisely the same as they were in November, with Baker gaining one percentage point at the expense of the independents. This might, however, reveal a slight increase in the perception of Baker’s strength. 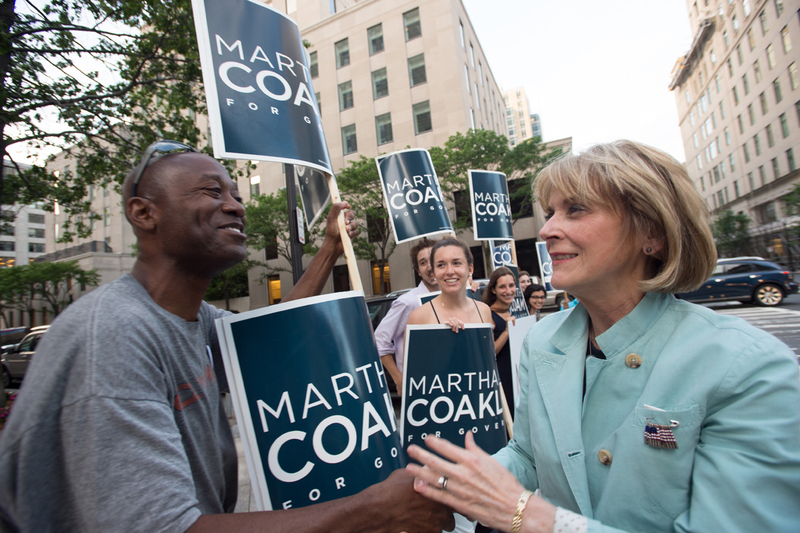 That’s because many of the insiders say that Coakley is her party’s strongest candidate in the general election. Since they are becoming more convinced that she will win the nomination (see below), you might expect them to believe the Democrats’ chances for November have improved. Since that’s not the case, it stands to reason that they see Baker as stronger—or Coakley as weaker—than they thought back then. Some of the insiders’ comments reflect that thinking. But for the most part, these political observers just seem uncertain of how the political winds will blow in the final weeks of the election. 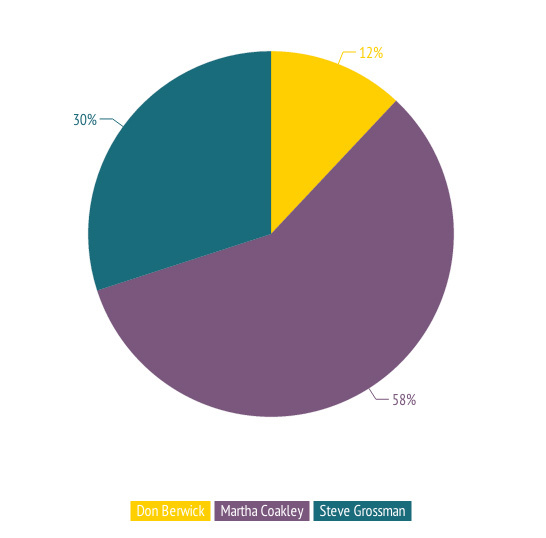 In May, the insiders said that Steve Grossman was running the best gubernatorial campaign. Since then, he won the convention vote, lost two competitors, and saw a bump in his polling. Nevertheless, the insiders give him just a 30 percent chance of winning the primary, down slightly from 34 percent in November. Coakley, seen by most of the public as the inevitable nominee, has climbed from a 44 percent chance to 58 percent. Insiders still say that Grossman could pull off the upset with a strong ad campaign, but many of them are now convinced that it’s Coakley’s nomination to lose. While few of them said so in their comments, the elimination of Juliette Kayyem, who failed to receive the required 15 percent at the convention, may have played a role in the calculation. Meanwhile, though they no longer put Don Berwick’s chances in the single digits, as they did in November, the insiders remain skeptical, if not dismissive, of his chances to win the nomination. 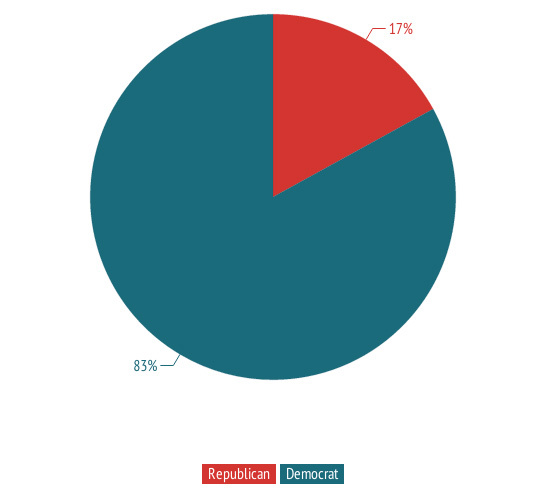 Back in November, the insiders gave Republicans nearly a one-in-four chance at winning this race. That was before they saw how good the Democratic are, and how inconsequential the GOP candidate, John Miller, appears to be. After the Democratic convention, I wrote that I pretty much expect Maura Healey to defeat Warren Tolman for the nomination. 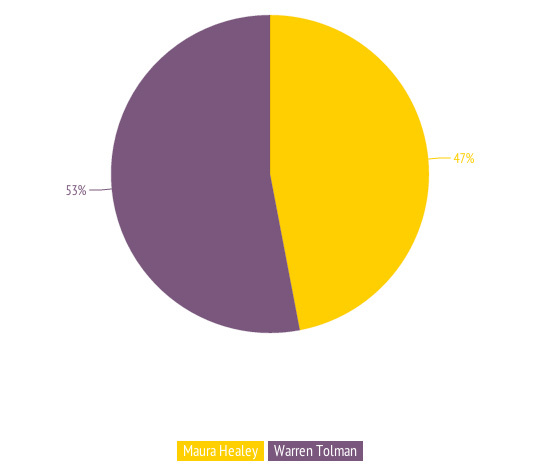 The insiders disagree with me, and see Tolman as the slight favorite—but not by much. 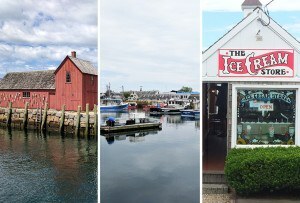 Just under half of the respondents gave Tolman the better odds of winning; 38 percent gave Healey the edge; and 13 percent called it an even 50-50 chance. In their comments, many point to Tolman’s superior fundraising and his strong labor support, as well as his effective positioning on gun control that plays well in a Democratic primary. While they are impressed with Healey, they wonder if she’ll have enough money to break through with her message to a broad enough audience. On the other hand, several say Tolman is running a poor campaign—a few said it felt “old”—while Healey seems to have the energy and enthusiasm on her side. A few say that additional enthusiasm to vote among women, spurred by recent Supreme Court decisions, could also help her. Many insiders were not shy about how weak they feel the Democratic candidates for Treasurer are. So it’s a poor reflection on Republican Mike Heffernan that, in their eyes, the chances of the GOP winning this race have dropped in half since before he got in the race. Nowhere were opinions more disperse than on this primary contest—and on Deb Goldberg in particular. Several respondents consider her a near lock for the nomination; several others give her no chance at all. More than half consider her the favorite, though often not by much. 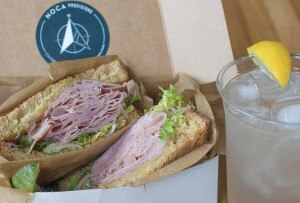 Several commented that the sleepy race could be decided by Goldberg spending money from her own pocket on advertising. That’s a clear change from November, when Barry Finegold got the very slight nod from the insiders. 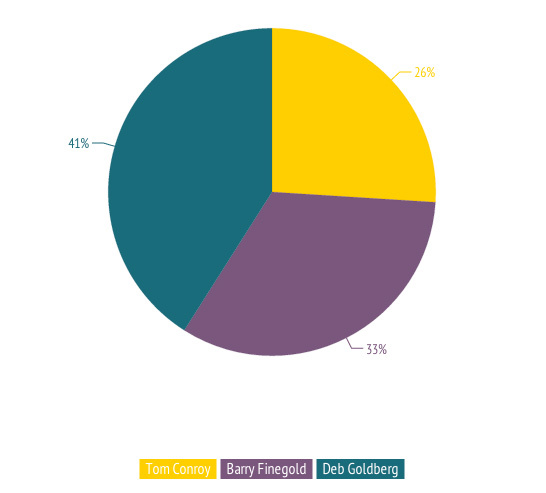 Meanwhile, after finishing second to Goldberg at the convention, Tom Conroy is considered the favorite or co-favorite by 16 percent of respondents. Some cite his leftover statewide support from his brief U.S. Senate campaign, and support from many of his state house colleagues. But others have a simpler explanation: he’s the one Irish name on the ballot against two Jewish ones. 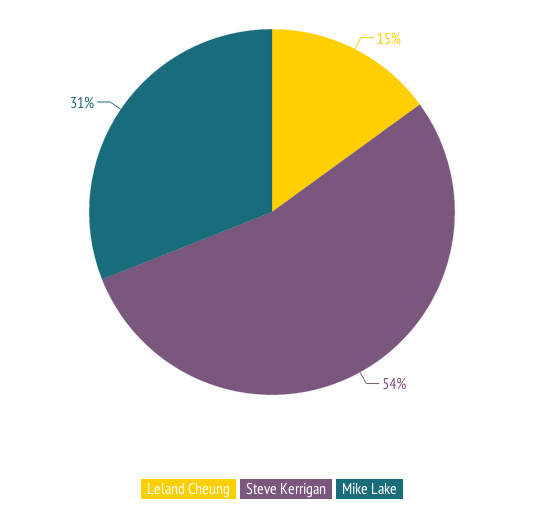 Back in November, when Steve Kerrigan and Mike Lake were the only announced candidates, the insiders gave a 32 percent chance to “someone else” winning the nomination. Suffice to say, Leland Cheung is not the “someone else” they were waiting for. As a result, the insiders now consider Kerrigan the odds-on favorite. But they give Lake a good chance too, and generally seem impressed with his campaign so far. 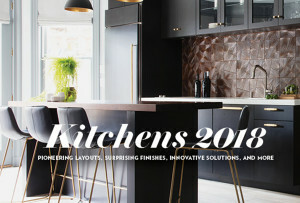 Participating Insiders include (affiliations for identification only): Jim Aloisi, Trimount Consulting; Jason Aluia, Mass. Association of Health Plans; Brent Andersen, GOP state committee; Jay Ash, Chelsea city manager; George Bachrach, Environmental League of Mass. ; Matt Barron, MLB Research Associates; David Begelfer, NAIOP Mass. ; Gus Bickford, Factotum Productions; Alexander Bok, Boston Baseball Field of Dreams; Beth Boland, Foley & Lardner; Ian Bowles, Windsail Capital; Jesse Bragg, Corporate Accountability International; Will Brownsberger, state senator; Virginia Buckingham, Pfizer; Ed Cafasso, Burson-Marsteller; James Chisholm, Resolute Consulting; Shawn Collins, office of state senator Richard Moore; Nick Connors, NLC Consulting; George Cronin, Rasky Baerlein Strategic Communications; Sean Curran, Waterville Consulting; Kate Donaghey, Massachusetts Teachers Association; Kate Donaghue, Democratic state committee; Shawn Duhamel, Old Colony Group; Dee Dee Edmondson, Edmondson Strategies; Scott Farmelant, Mills Public Relations; Scott Ferson, Liberty Square Group; Will Flanagan, Fall River mayor; Peter Forman, South Shore Chamber of Commerce; Charles Glick, Charles Consulting Group; Michael Goldman, Goldman Associates; Rob Gray, Gray Media Group; David Guarino, Melwood Global; Joseph Hanley, McDermott, Quilty & Miller; Lee Harrison, Democratic state committee; Emmett Hayes, Smith Ruddock & Hayes Public Policy; Robert Hedlund, state senator; Mathew Helman, Office of State Senator Jason Lewis; David Howard, DH Consulting Group; Richard Howe, Middlesex North Register of Deeds; Jon Hurst, Retailers Association of Massachusetts; Diana Hwang, Asian-American Women’s Political Initiative; Dominick Ianno, Pfizer; Phil Johnston, Philip W. Johnston Associates; Chris Keohan, CK Strategies; Liam Kerr, DFER Mass. ; Adrienne Kimmell, Barbara Lee Family Foundation; Steve Koczela, MassINC Polling Group; Andrea Kramer, Hirsch Roberts Weinstein; Malia Lazu, Future Boston Alliance; Jay Livingstone, state representative; Bill Manzi, Methuen town manager; Paul Mark, state representative; Ann Murphy, O’Neill and Associates; Charley Murphy, Harvard Street Neighborhood Health Center; Carl Nilsson, Ed Markey campaign; Matt O’Malley, Boston City Councilor; P.J. O’Sullivan, O’Sullivan & Associates; Mary Olberding, Hampshire Register of Deeds; Victor Pap, Little Flowers Strategies; Lora Pellegrini, Massachusetts Association of Health Plans; Sean Pierce, office of state senator Linda Dorcena Forry; Larry Rasky, Rasky Baerlein Strategic Communications; Stan Rosenberg, Senate Majority Leader; Brooke Scannell, Scannell Group; Tim Schofield, Schofield Law Group; Stephen Silveira, ML Strategies; Alan Solomont, Tufts University; Nancy Stenberg, Massachusetts Teachers Association; Charlie Ticotsky, Metropolitan Area Planning Council; Joe Timilty, Massachusetts Technology Group; Paul Trane, Telecom Insight Group; John E. Walsh, Together PAC; Brad Wyatt, Boylston School Board; Reggie Zimmerman, MassUniting; and others who requested anonymity.